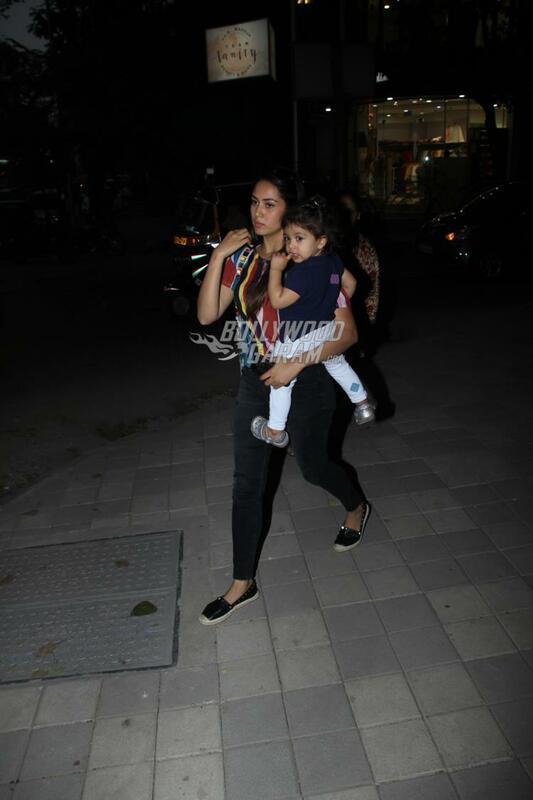 Mira Rajput and daughter Misha Kapoor are often snapped on casual outings or shopping. 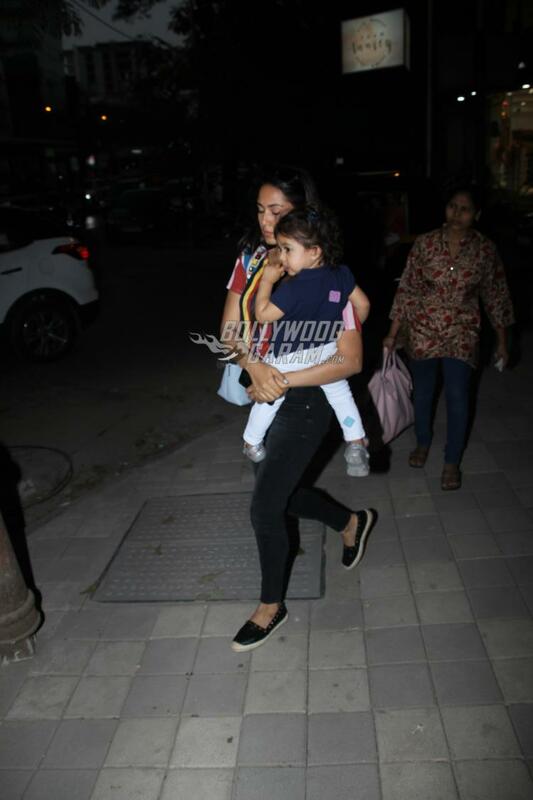 The mother and daughter duo were snapped together on the streets of Mumbai on February 8, 2018. 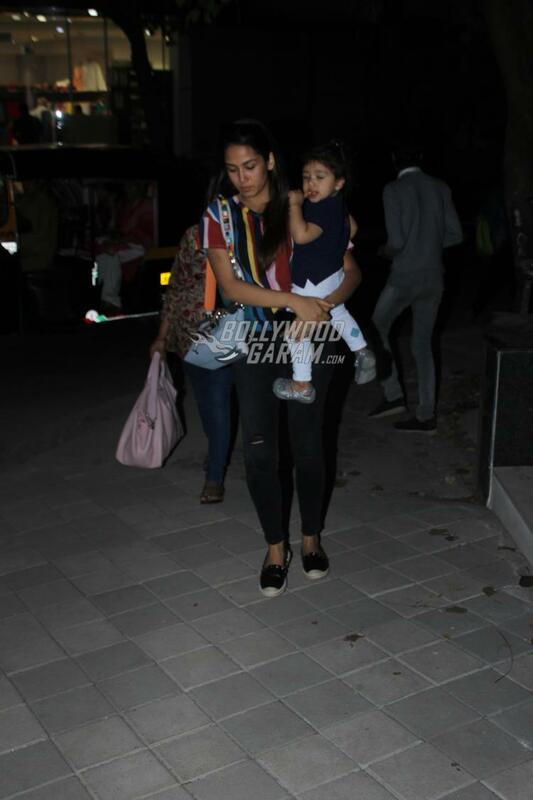 Mira rocked the casual look in a colorful striped top and black denims while Misha was comfortably nestled in mother Mira’s arms. 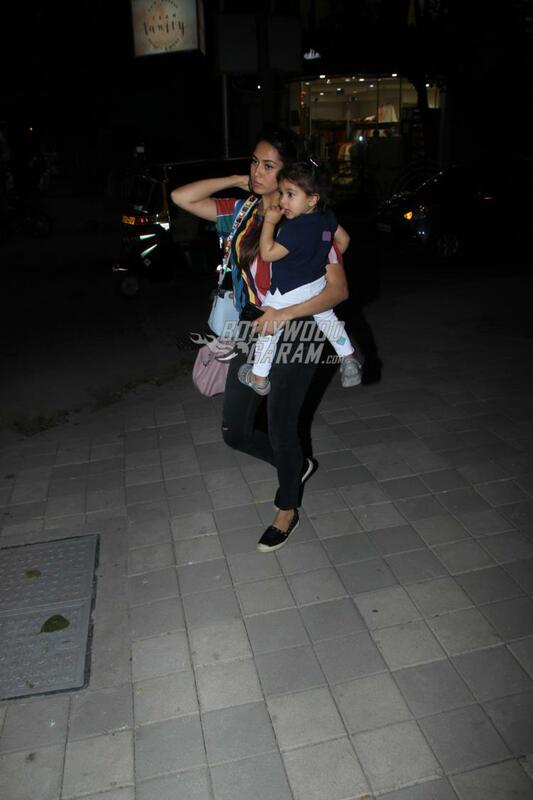 The 24 year old completed her look with a trendy bag and was seen making her way outside Misha’s school. 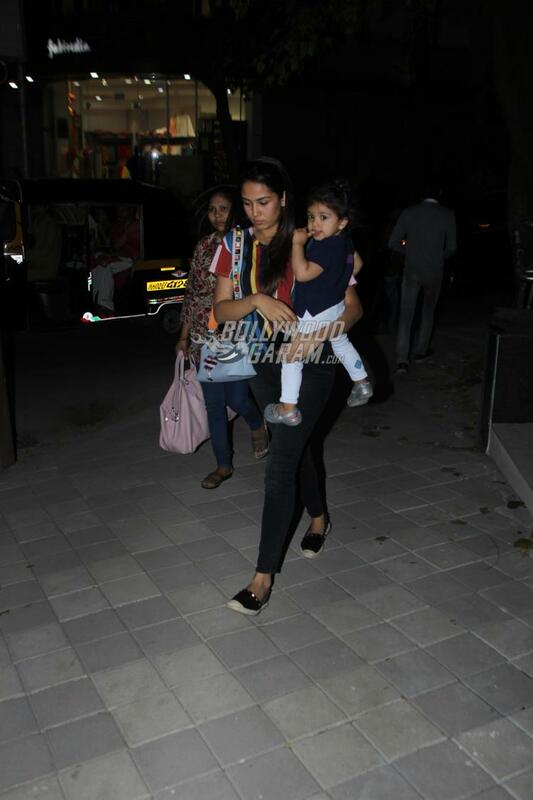 On the work front Shahid has started shooting for the upcoming film Batti Gul Meter Chalu in Uttarakhand.